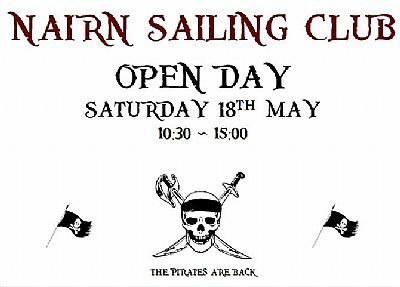 Nairn Sailing Club is a friendly and informal club based on the harbour front in Nairn. We have a popular cruiser section offering racing and social cruises throughout the year. We also have a thriving dinghy section. Please take time to browse our site and use the Contact page if you want any further information or would like to join. We also have regular club nights each Friday during the season and hold regular social events at our clubhouse, check out our upcoming events HERE. We are fundraising to purchase a new safety/support boat this year that will help to support all the activities we do on the water. Donations can be made to the club or another great way to support this is to raise money through the 'Easyfundraising' scheme. 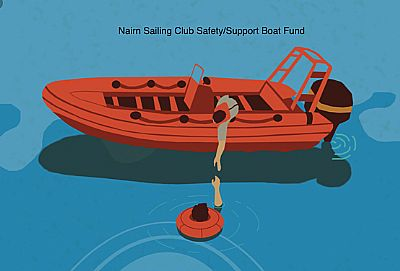 Its such a simple thing to do, you set up an account through the below link, choose 'Nairn Sailing Club - Dinghy Section' and if you use it to shop online the club gets a donation from the company you are buying from. Items bought cost the same and the club benefits. Please join this, if you have any difficulties sorting it out just give the David, the Commodore a call (07789178072). Whilst we have prepared the website & handbook with care, certain errors may exist. The tidal predictions and navigational information should be treated with caution. The Sailing Club and Committee accept no responsibility for errors or omissions. The dates of events are subject to alteration, please check at the clubhouse on a Friday night.